Today’s tennis matches against Montgomery Academy and this weekends JV tournament have been cancelled. 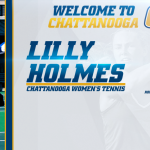 University of Tennessee at Chattanooga head women’s tennis coach Chad Camper announced the signing of Lilly Holmes to a National Letter of Intent this week. 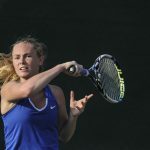 Holmes is a three-time Alabama 6A Individual State Champion from Florence High School in Florence, Ala. She is a four-star prospect according to Tennisrecruiting.net. That same service lists her as the No. 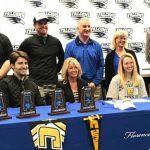 Congratulations to Lilly Holmes for signing to attend UT-Chattanooga and play tennis. click here to see the full article 100. 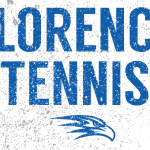 Lilly Holmes, Florence Junior Tennis Holmes three-peated as the Class 6A No. 1 singles champion. 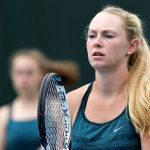 She is rated a four-star recruit for the Class of 2018 by TennisRecruiting.net. 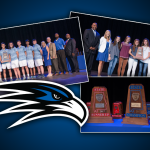 The Florence tennis teams were honored last week in a ceremony at Florence High School. 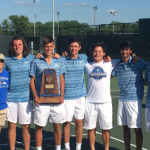 The boy’s tennis team won the first team state championship in Florence High School history. 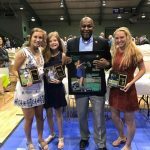 The girl’s tennis team placed second in the state, earning the runner-up trophy. Lily Holmes won the female singles title for the third consecutive year. 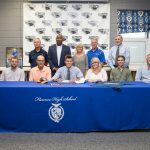 Congratulations to FHS tennis player, Nick Hester, for signing a scholarship to play tennis at Wallace State.